It’s officially Carter Season.After dropping “D’usse” last week, and “Believe Me” a few weeks before that ,Wayne is back with a seemingly new freestlye. 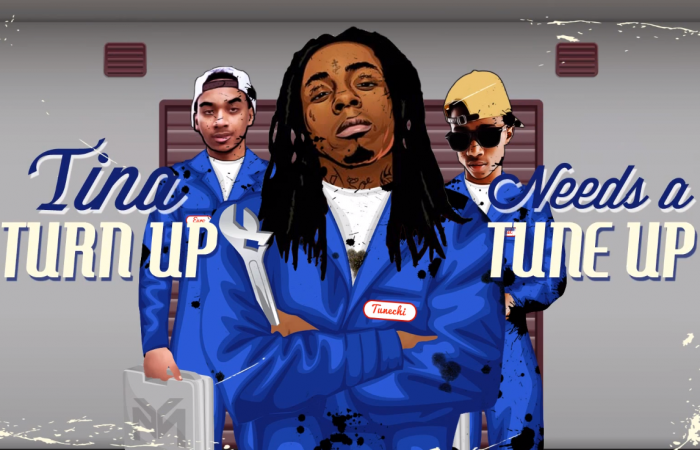 In the latest episode of his Weezy Wednesdays series, Lil Wayne previews a hot new track titled “Tina Turn Up Needs A Tune Up”.Going back to old form , Wayne not only sounds super hungry, but his wordplay and ability to create metaphors is as good as it always has been. Tunechi, We need that Carter V asap!!! Posted on June 27, 2014, in LIL WAYNE. Bookmark the permalink. Leave a comment.